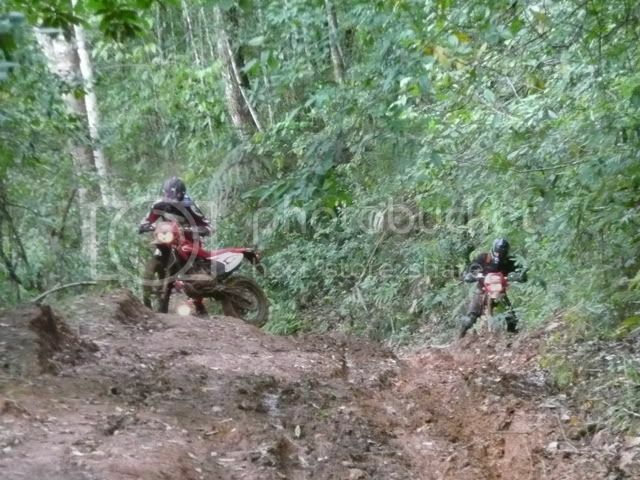 For those of you who are Wondering what it is Like to Ride around on a Dirt Bike up here in Northern Thailand i Thought i would post a couple of Videos and a Link to Trip reports. Bear in Mind that this Particular Trip was taken in June so it is a Little Wet in Places. Depending on the Time of Year Conditions Vary a lot. The Coolest Season is November to February, No Rain so it is Dry and sometimes Very Dusty. This one is Filmed By Peter Hood who was Riding with One Hand and Filming with the Other!!! Obviously a Top Class Rider. The Group of 9 New Zealanders arrived on the 12th June ready for 10 days of Biking. 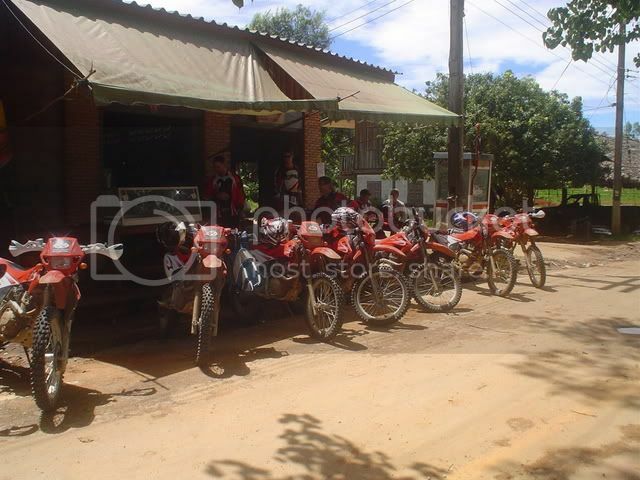 I had Brought 9 Brand New “Pantera XRA 250″ Bikes, actually 230cc. Total of 7 Riders and 2 along for the Trip in the Support Truck carrying our Gear and a Spare Bike. 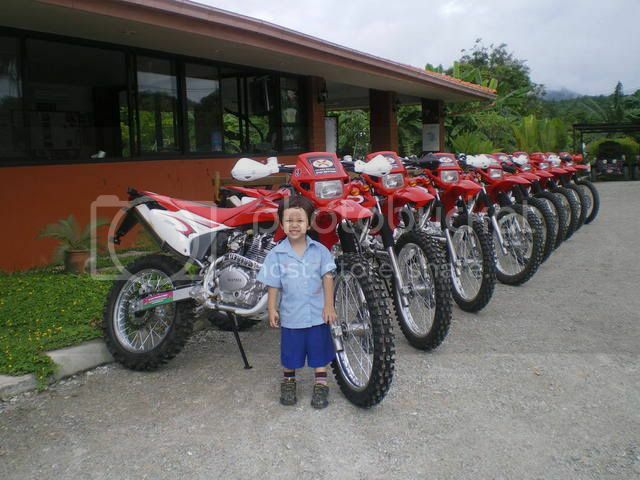 The 7 Riders all own either CRF250X, CRF450X or XR650R back in NZ so a Big Down Grade for them!!! Surprisingly they had very little Bad to say so thanks for that!!! X-Centre and Off Road to Huay Tung Thao the Lake where we stopped for a few Beers. Meeting the Pickup at the Lake. All went well so looking good. For this Ride we went up to Pong Yang and turned off up through the Royal Project, This is where we got our first Taste of Rain. Huddling into a Bank for Shelter. Had Rain for most of the day. We went through to Doi Suthep then back down the Road to Mae Rim. Still had a Great Ride. Testing the Pantera! 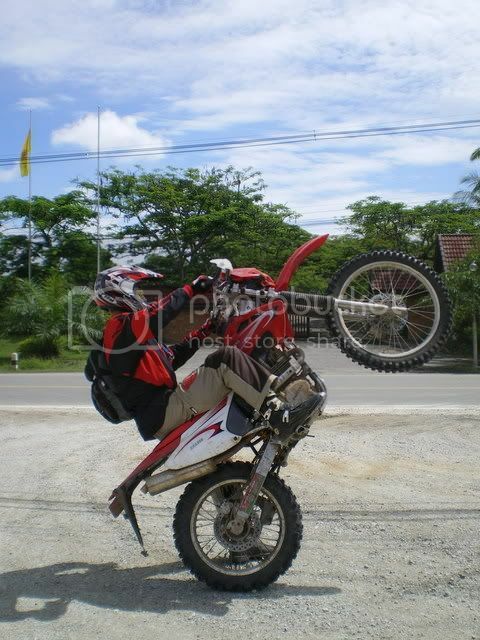 This is Peter who has a CRF450X at home and can Wheel Stand almost anything. He is going around in circles here. 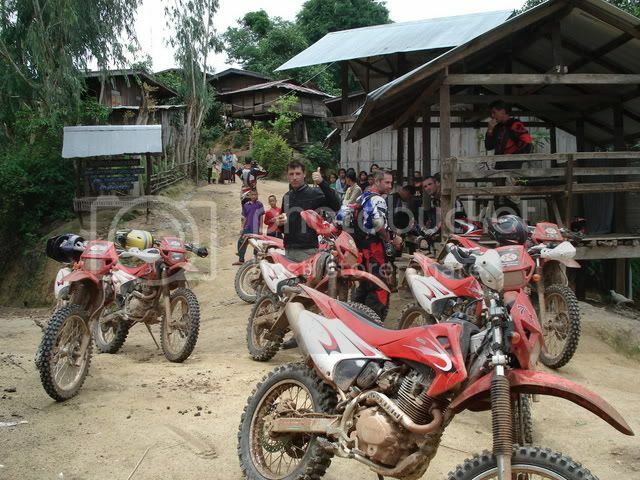 Left the X-Centre about 10am and took the Long Ride through Samoeng up to Wat Chan. While it is a bit boring there is still lots to see and Varying conditions. Refueled and had a Snack and we were ready to go. 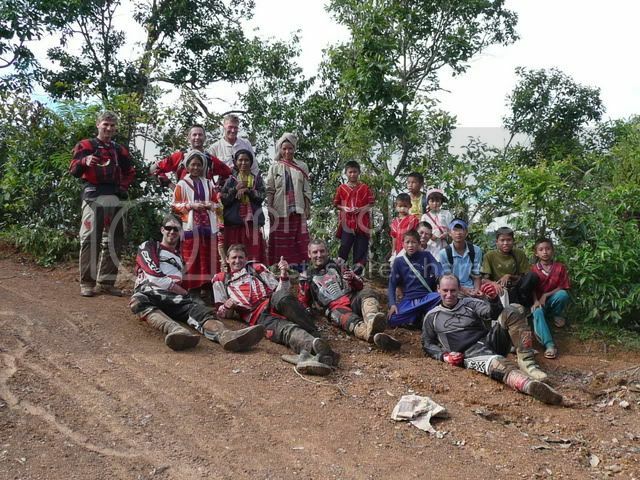 From Wat Chan we headed straight Off-Road coming out at Pang Ung then on to Khun Yuam. Time to Regroup at the Top. This Section from Wat Chan to Khun Yuam was only 81.75 km in distance but a Terrific Ride with almost every condition you can get in Thailand. Top Stuff. We got to Meet some of the Locals on the Way which the Guys enjoyed. The last stretch was on the Tar where i came across a Snake. My intention was to get him off the Road before he was hit but once i picked him up i saw he was already Terminal so i put the Poor Bugger out of his Misery after this photo was taken. I don’t enjoy seeing any Wildlife killed! At Khun Yuam we spent the night at Ban Farang which was quite OK. I spent some time trying to get one Bikes back brake to work but resorted to taking the Master Cylinder off the Spare Bike. Many Beers and out like a light. Good Weather all Day! Up early, It had Been Raining like Hell since about 5 am so i expected the worst! Breakfast and off we went. 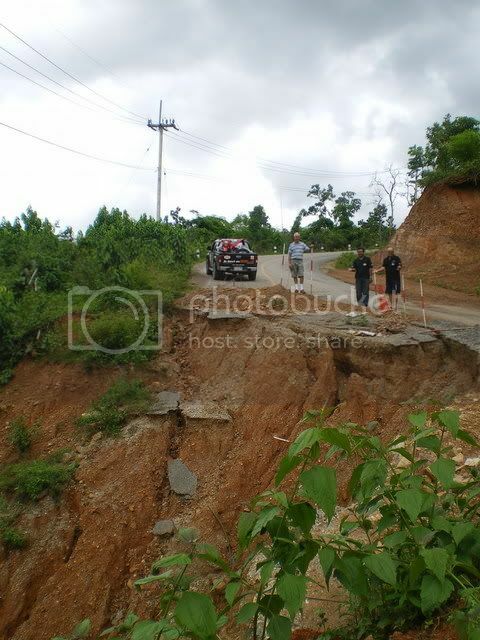 Headed down 108 for 40 or so kms to Mae La Luang where we turned Off-Road heading in and up. This is an Amazing Stretch again with every imaginable Condition from Gravel, Sand, Dirt, Mud and Rock. I let the Guys go ahead and they just stopped when they came to any fork or were unsure of which Direction. Judging by the Marks left on the Trail they had a Ball. I witnesses some Impressive Skills from these Guys. I was probably the worst Rider out there!!! We went up through Kok Luang where we stopped and were Mobbed by the Locals. Not to many Tourists come through here!!! 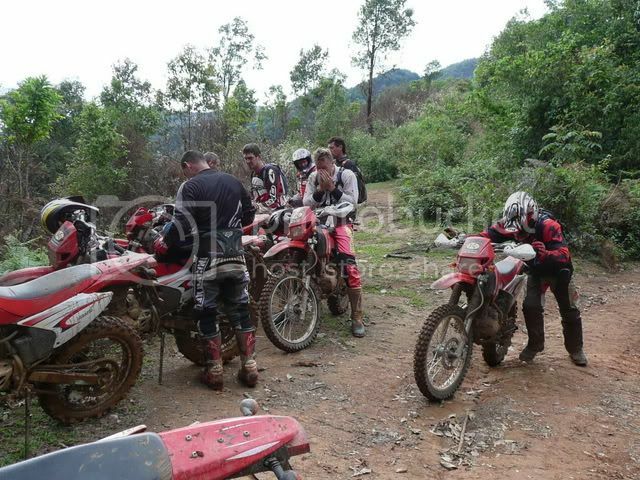 We carried on until we got a Flat front Tyre, As we were repairing it some Locals turned up and some Drunk Guy had wiped off his Dream with a Boy on the Back who had skinned up his Stomach, Knees etc. 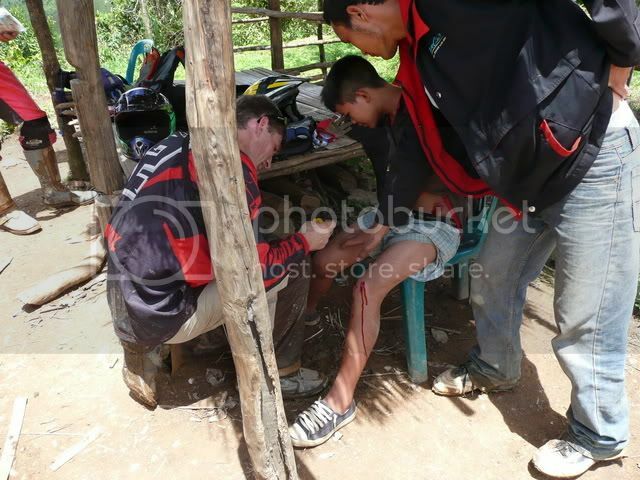 Poor little Guy was real unhappy till the Guys set to work on him with the First Aid Kit. 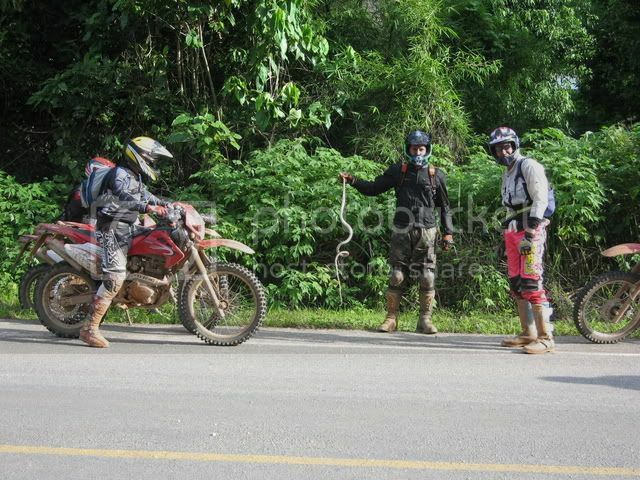 The Rider was more interested in Drinking more Lao Kao which some other Locals supplied. On again we went up to Doi Mae Om Lan where we were running good on time so stopped at the little Village on top of the mountain for some drinks and do some Repairs to one of the Bikes after a Nasty Wipe out, Only cosmetic straighten out the Rear sub Frame which was pointing out the side. Up in the Mist we were and had a Huge Shower of Rain come through so a Good choice to stop! On the Road again, this time on Broken up and erroded Tar. 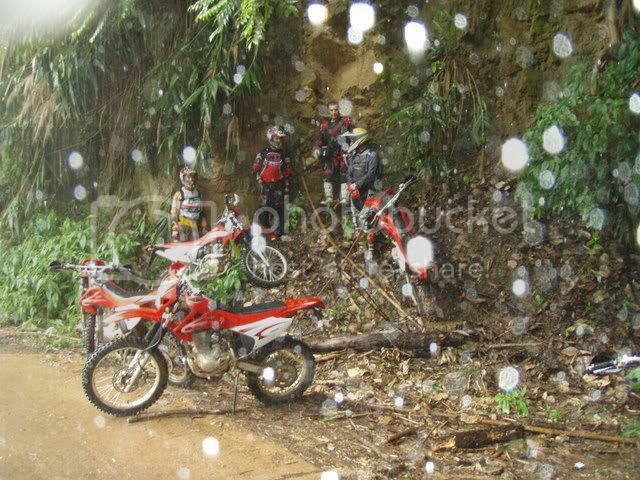 The Errosion on the ride down was amazing they must have had Serious Rain in the last 6 months a real Mess. Beautiful Ride coming down into Mae Chaem. Fantastic Views. The Guys with Doi Inthanon in the Clouds behind them. We went through town and Stayed at Navasoung Resort which we Basically took over!!! We were even Lucky enough to be Graced with the Arrival of the Muppets Justin and Luke who had came in Via Doi Inthanon bringing along sidekick Chris, Don’t know much about this Guy as he was never off his Phone long enough to talk to anyone? Had a great night and many Beers again. 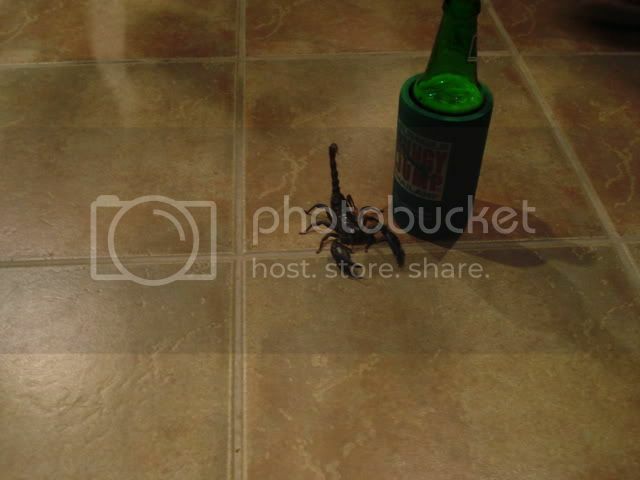 Caught a small Snake in one Bathroom and had a Scorpion hanging out at the Stairase to the Restaurant so plenty of Wild Life!!! 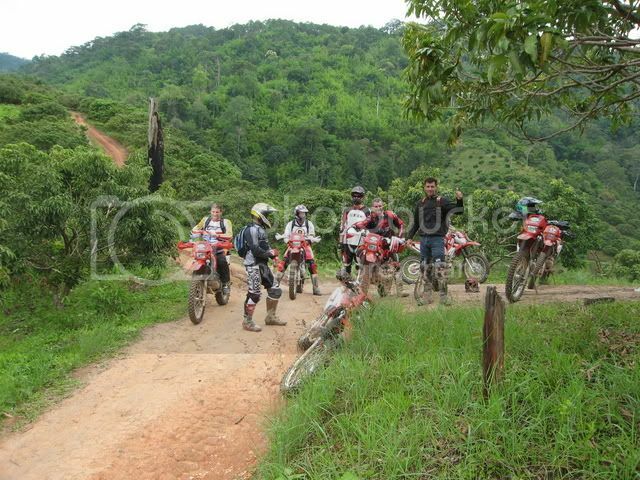 This section of Ride from Khun Yuam to Mae Chaem was 156 km and one of the Best Rides all the Way. Again Blessed with Great Weather and Conditions!!! Prepairing to leave the Resort in the morning. Look closely at Chris on the far right, Strange set up he had, Screamin 2 stroke Yamaha 200 and for Safety Gear Knee Pads etc with School shoes??? Started out having a Ball Back through town and followed the Trail running along the River up to Na Hong, really scenic. From here we doubled back down the Road through Mae Na Chon where we had a break refueled then off for a short distance before turning left and Off-Road into the Hills. This is where it got really Messy. With the Inclusion of the Muppets and Screamin Chris riding with the group they managed to turn everything into a Contact Sport!!! There were Guys banging into each other all over the place after a couple of Big Offs and one Badly Sprained Thumb i had to Put the Dampers on things for the sake of safety. The Object is Fun not Injury and none of us could afford to get Hurt. 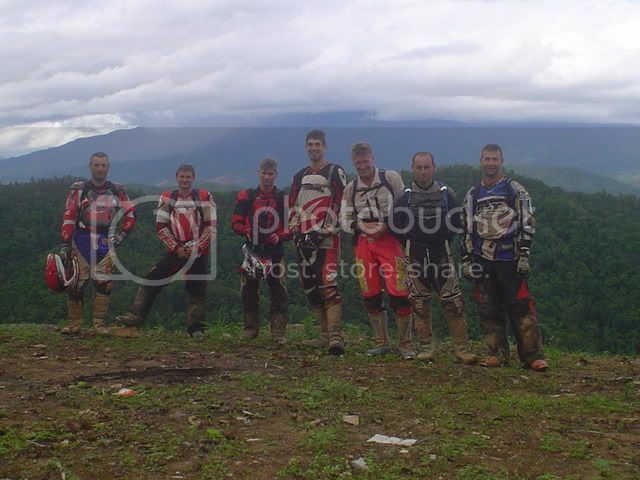 The Guys all took it well and we all carried on back to Samoeng and on to Mae Rim. Still a great day. 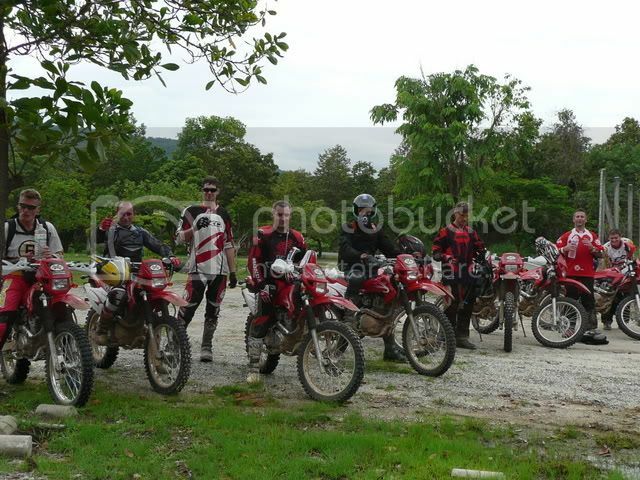 From Mae Chaem back to the X-Centre in Mae Rim was 169km.Perfect Weather again, Lucky Buggers!!! Just to show the Guys in the Support Truck. Here they are checking out a Road Slip. They reckon they had a Better time than us and saw more sights? I think they are probably right they saw more tourist attractions and at the speed we went we didn’t take in all the Sights!!! And not to be out done when we got back to the X-Centre a Scorpion turned up there as well to show we have Wildlife in Mae Rim as well!!! Quite a Big Guy isn’t he? Summary: While the Distances don’t sound much everyday was a Full Day of Riding and in really Hard Conditions in Places. While it is a Fantastic Trip i would recommend it to Experienced Riders only! Don’t do it alone either some Areas are Remote and pretty Isolated and it would be Misery if you Broke down or were Hurt out there. 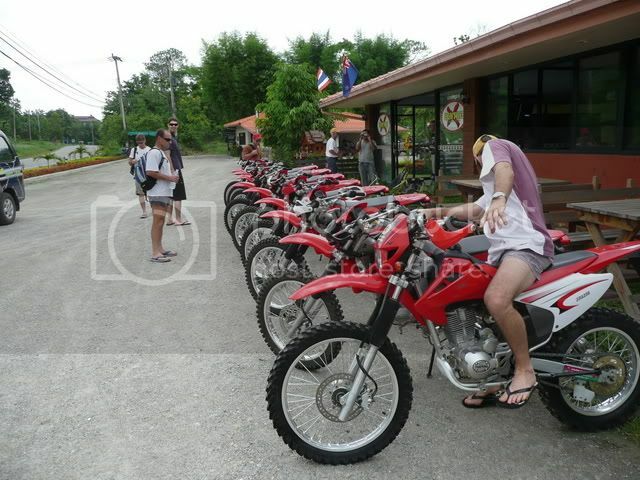 Most of the information is shown on Davids GT-Rider Mae Hong Son Map All the Roads and Accomodation and other details but not all the Trails we took and unless you can speak Thai you will get lost!!! My Thanks to Luke and Justin for scouting these Trails earlier in the season with me. After this Trip it was a Rest day followed by a Service and Repair Day for the Bikes then it was time for Trip 2 which i will post soon. Bloody lot of work to post a Trip report so all Credit to you Guys who do it on a regular basis.